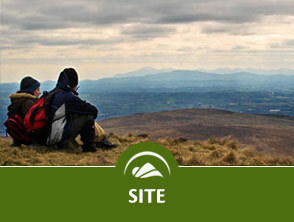 The Belfast Hills are home to a wide variety of animals, birds, plants, fungi and insects. This array of wildlife with all its genetic variation and the habitats in which wildlife lives is known as Biodiversity. Biodiversity is simply an abbreviation of ‘biological diversity’ and literally means the total variety of life on Earth. Within the Belfast Hills there are different types of habitats. A habitat is an area that provides food, water, shelter and space for living organisms. The Hills are home to a vast variety of animals, plants, fungi and insects. Some of which is under threat and in need of our help. Within the hills there are many sites which are open to the public and where you can experience the rich biodiversity for yourself. Go Explore! Come and discover the hidden landscapes that lie beneath your feet.